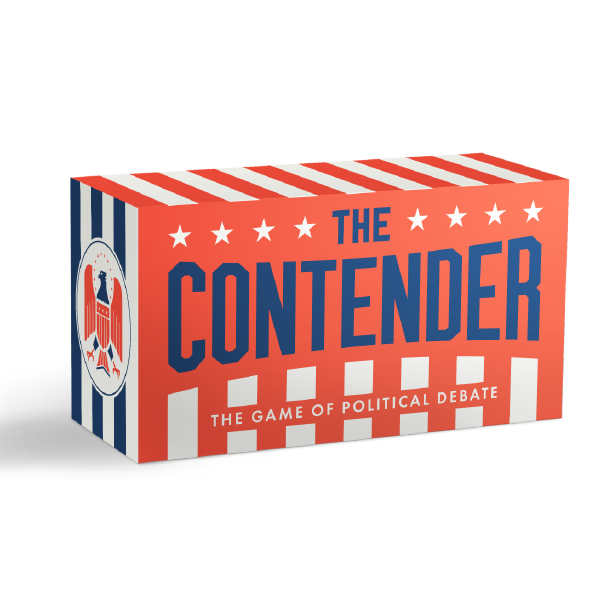 The Contender isn’t just a card game where you best your opponents in a presidential style debate, it’s a game that brings you the best one-liners ever uttered during the presidential debates of our great nation. From FDR to JFK to the immortal words of Sarah Palin, these are the personal jabs, forced compliments and glorious gaffes that make every four years the most blunderful moments in American politics. The perfect party game for bachelor, bachelorette, and birthday bar crawls. At each bar, one of your party dons the role of Alex, the blushing bachelor(ette). The rest of the group has a sheet of photo challenges worth points, but Alex isn't allowed to know about the game. Who does nobody like? is a game for friends who trust each other 100%. If your friendship can survive this, it can survive anything. We drew inspiration from pop culture, famous people, our friends, and ourselves to come up with a set of over 100 questions that you and your friends can use to discover the exact thing that makes each of you a jerk. Stranger Danger is a card game for daring people in public places. Challenge your friends to approach a person in the crowd and discover what strangers will do to help you win. The box contains the perfect set of questions and challenges for making new friends in bars, parks, cafes, festivals, concerts, or wherever you go to be around people. A USA themed team challenge game that runs in the background during big parties. Players join the Red, White, or Blue team and challenge players on other teams to All-American activities. The king is dead, under suspicious circumstances. Two factions compete in this real-time social deduction game to raise their supported heir to power. Trouble is, no one is sure where anyone's true allegiance lies. This game is still being tested. Let me know what you think.